Few relationships are as meaningful or unbreakable as that between a bride and her bridesmaids. It is a bond formed out of love and respect, a friendship destined to last forever. Together they are sorella vita “ sisters for life”. 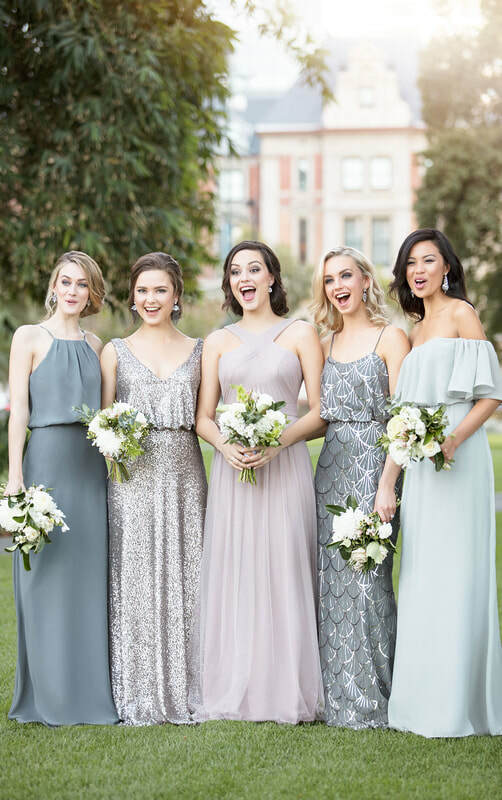 The Sorella Vita bridesmaid collection is designed to bring the hottest runway styles and the latest red carpet trends to the aisles of the most fashion-forward weddings. Featuring well-crafted details that are modern and eye-catching, colors that are rich and bold, and fabrics that are posh and glamorous, the dresses of the Sorella Vita collection bring confidence and style to each bridesmaid and every wedding day.